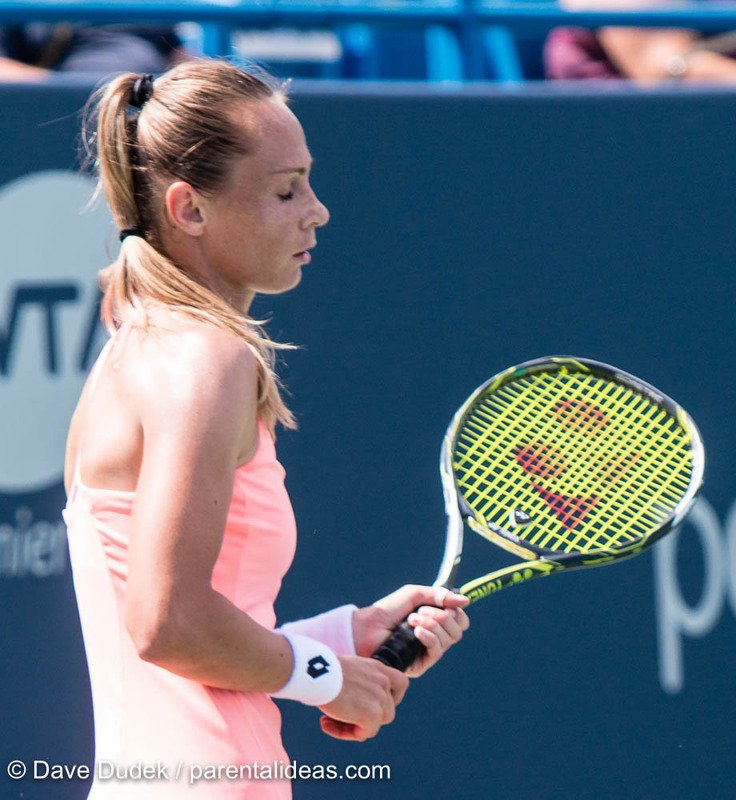 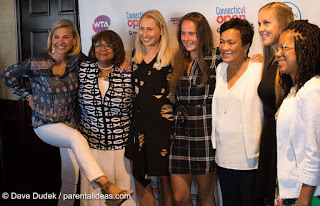 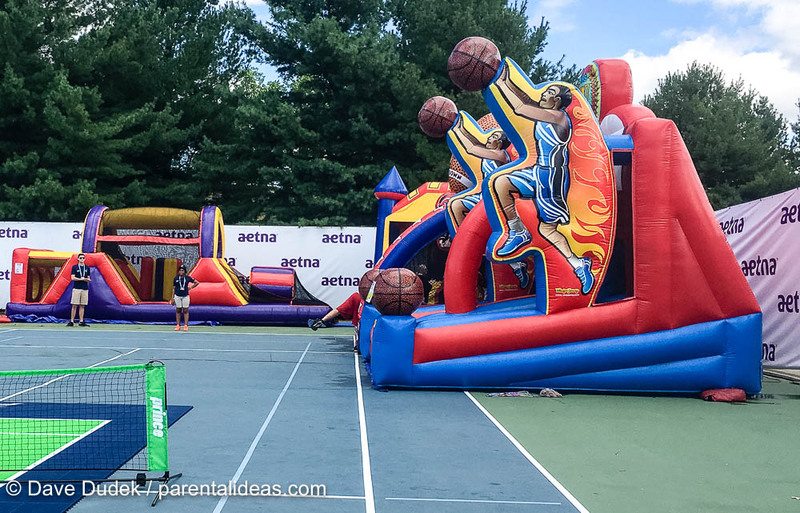 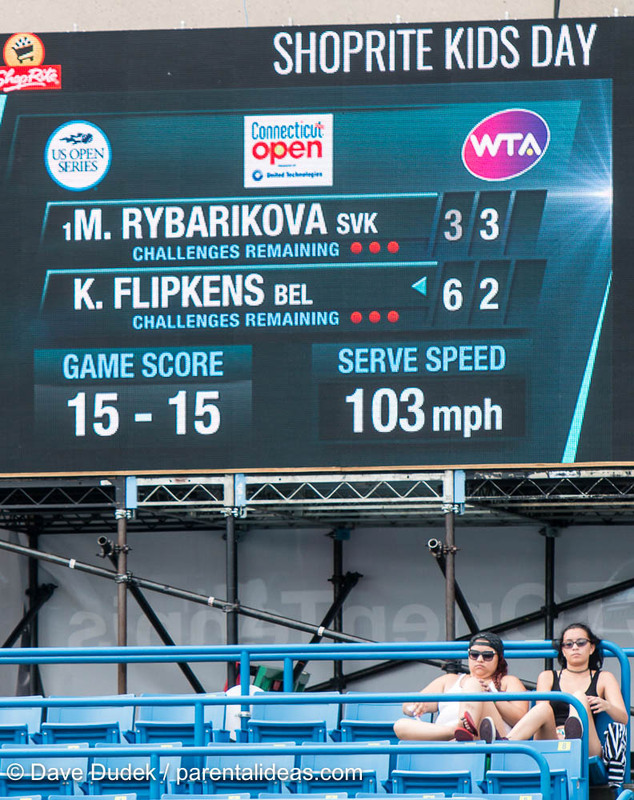 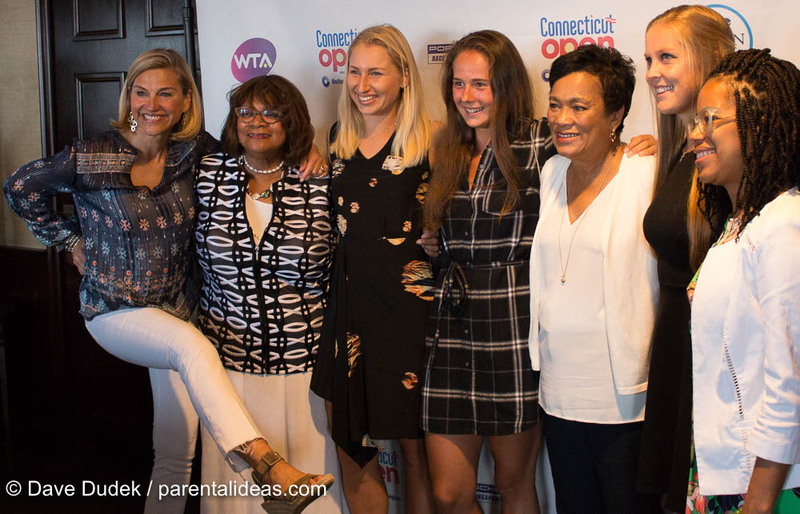 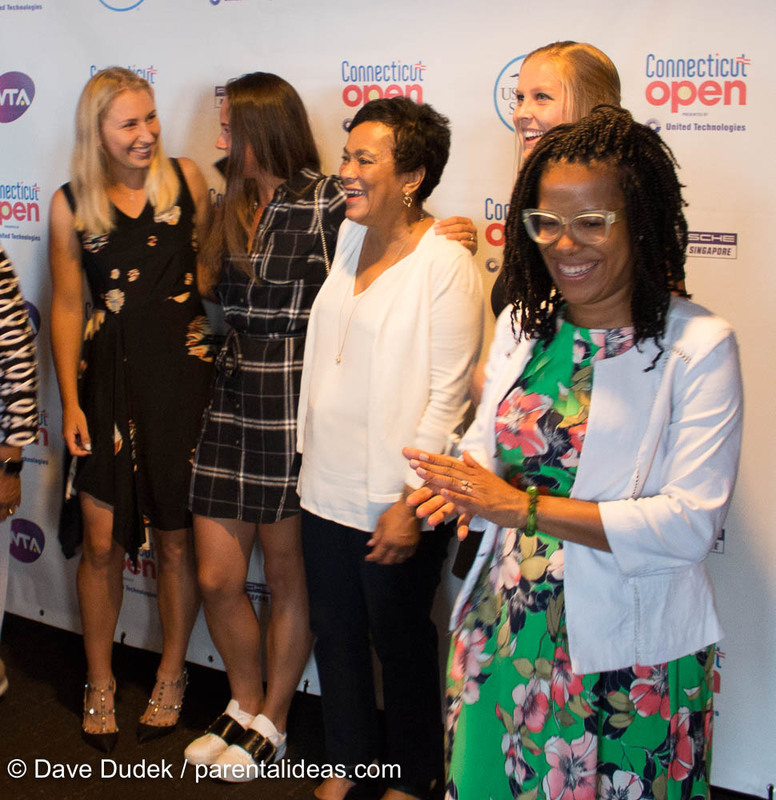 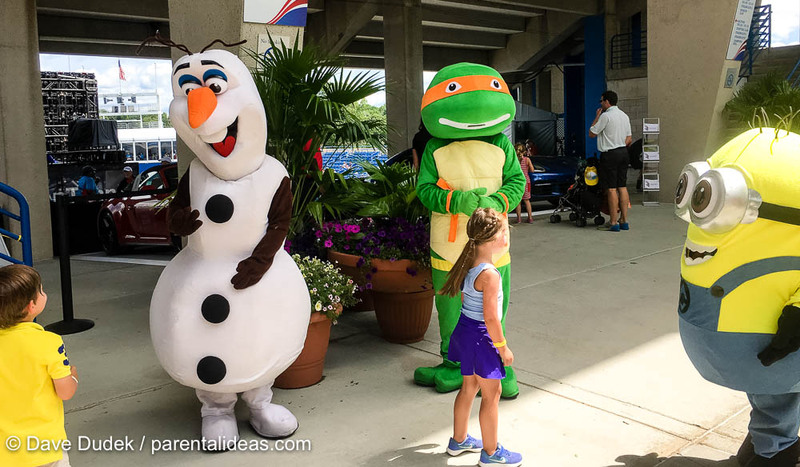 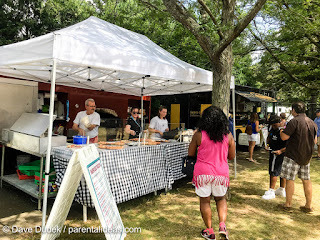 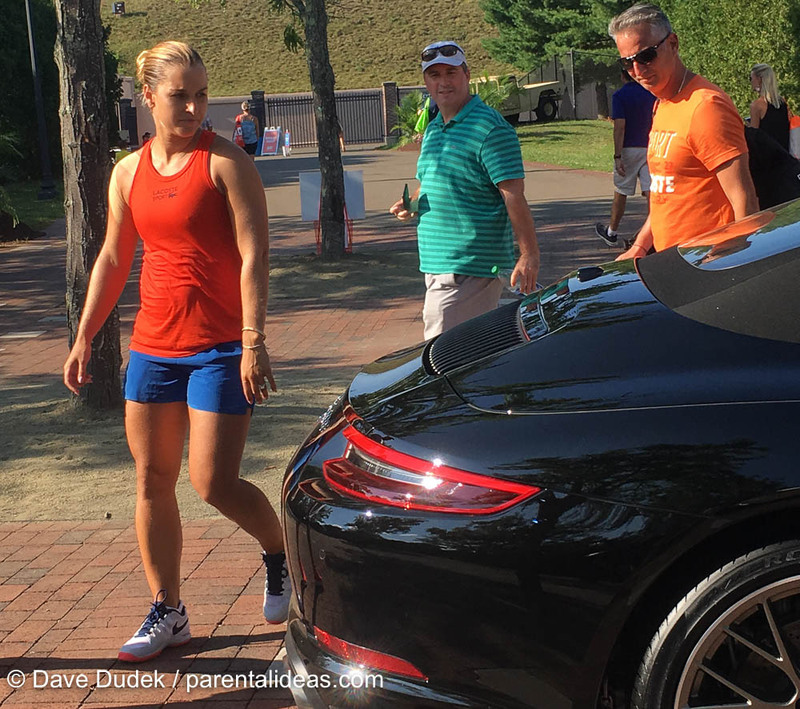 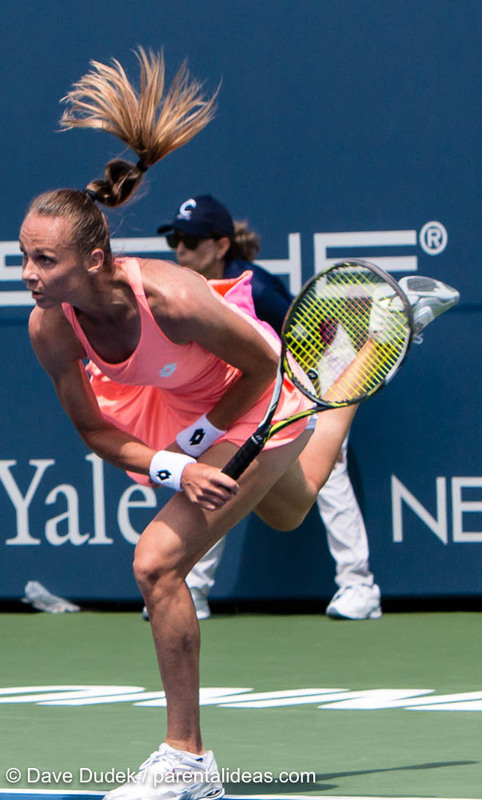 It was a spectacular Sunday at the Connecticut Open tennis tournament in New Haven. 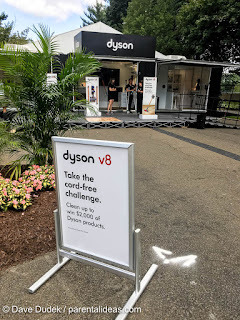 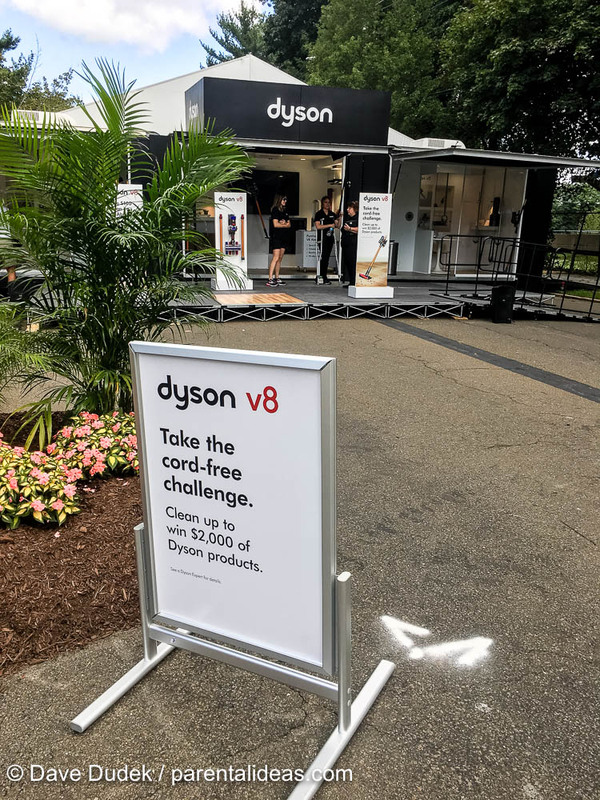 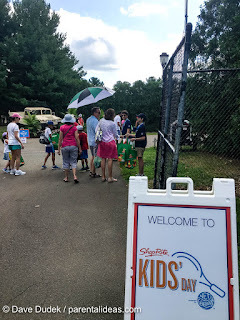 Gates opened at 10 and children received goody bags filled with items from companies headquartered in CT: earbud headphones from ESPN (Bristol), a PEZ dispenser from PEZ candy (Orange), and a few other items. 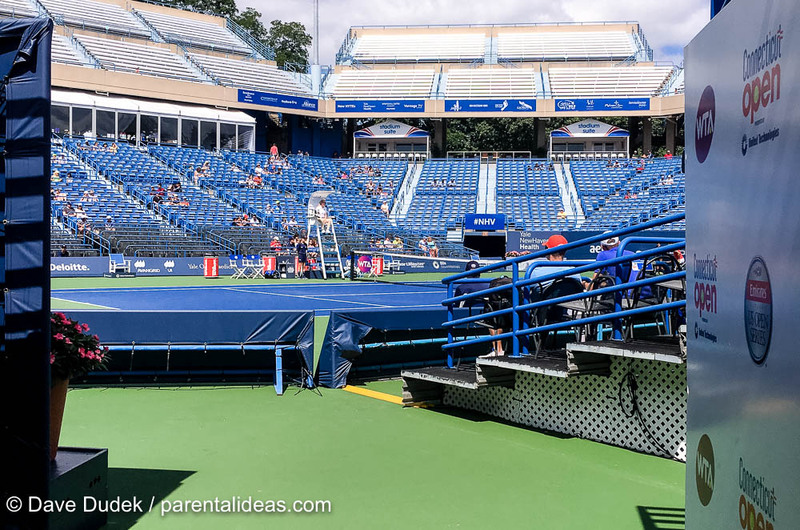 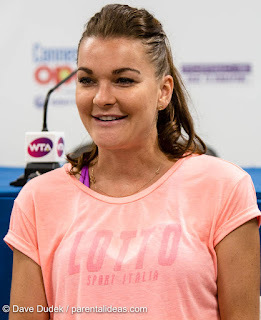 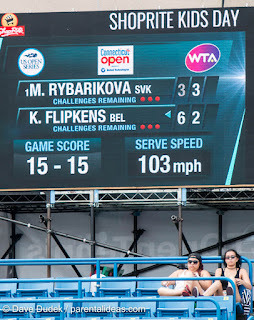 Children were treated to lessons with players and coaches, characters from popular kids’ movies roaming around and some great tennis matches with Belgium’s Kirsen Flipkens winning against Slovakia’s Magdalena Rybarikova. 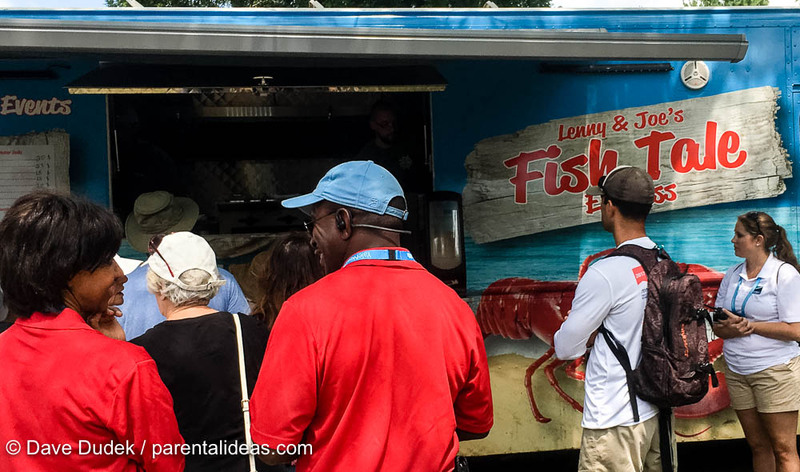 The lines for the food trucks seemed endless but luckily there were nine different trucks to choose from in addition to BBQ options available inside the stadium. 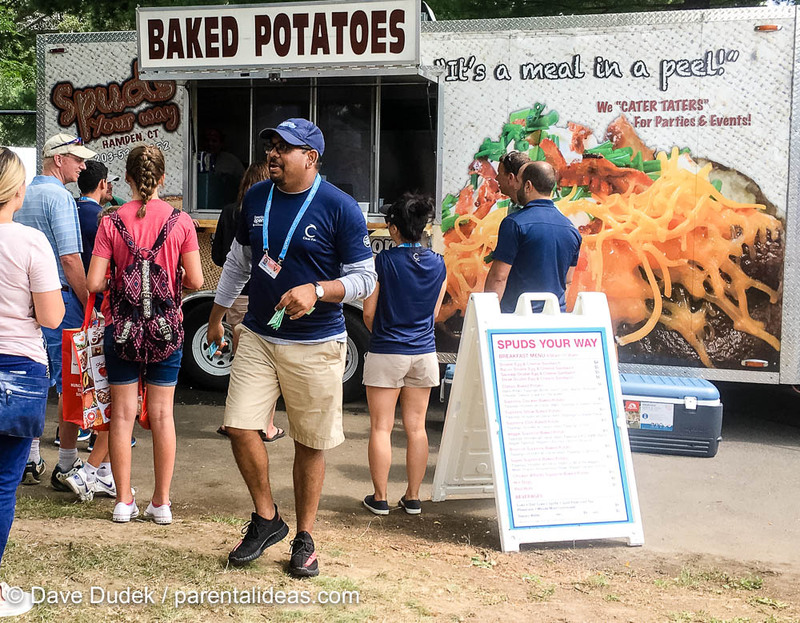 My personal favorites are the Spuds Your Way baked potato truck and Tony’s Square Donuts whose donuts are uniquely square and handmade. If you stop by either truck, tell them I sent you! 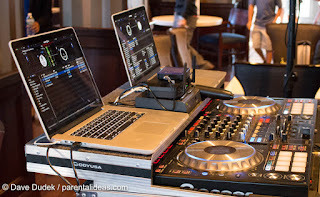 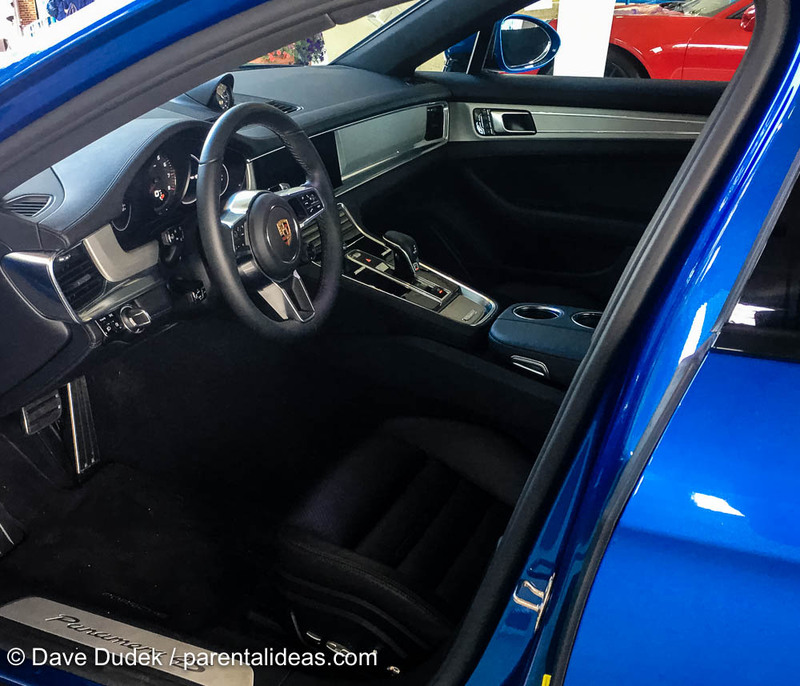 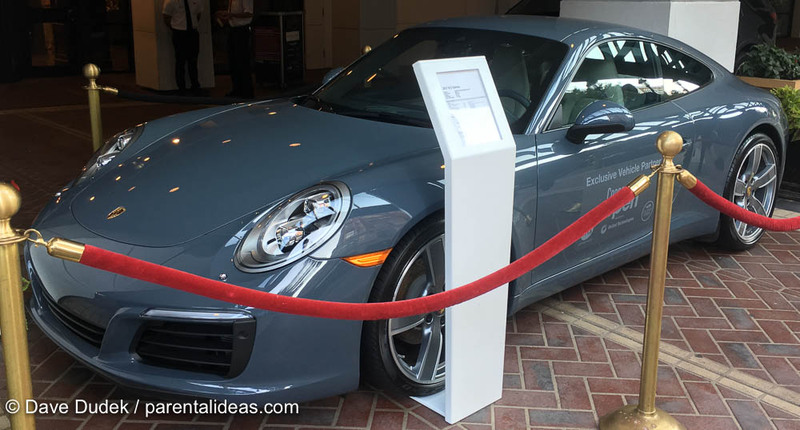 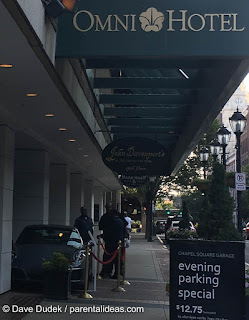 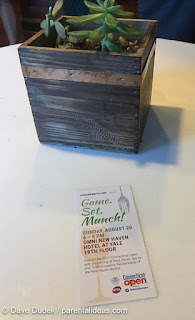 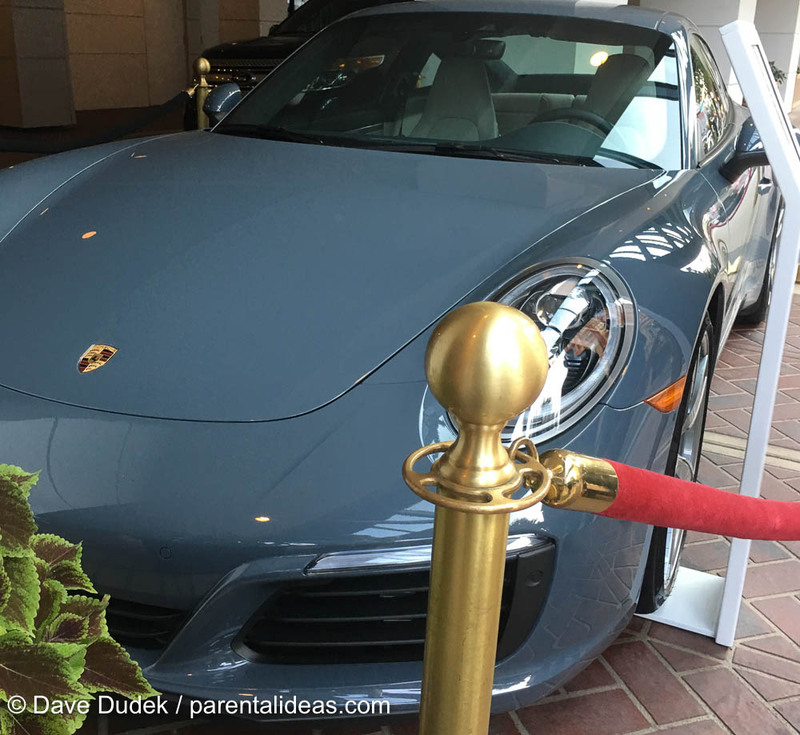 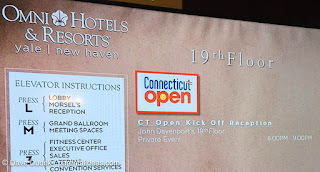 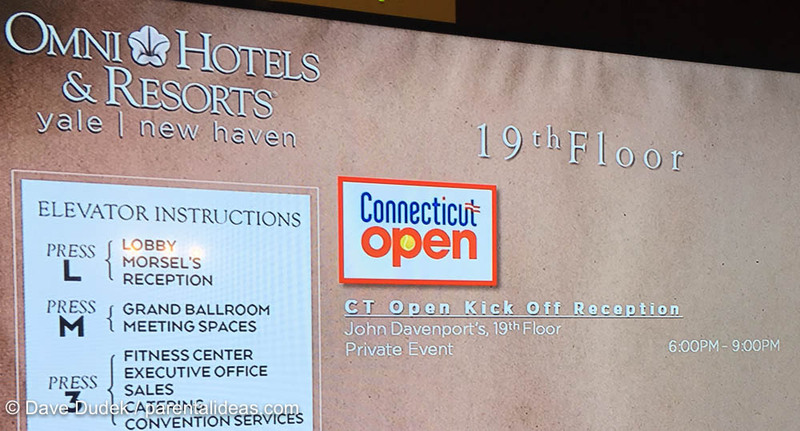 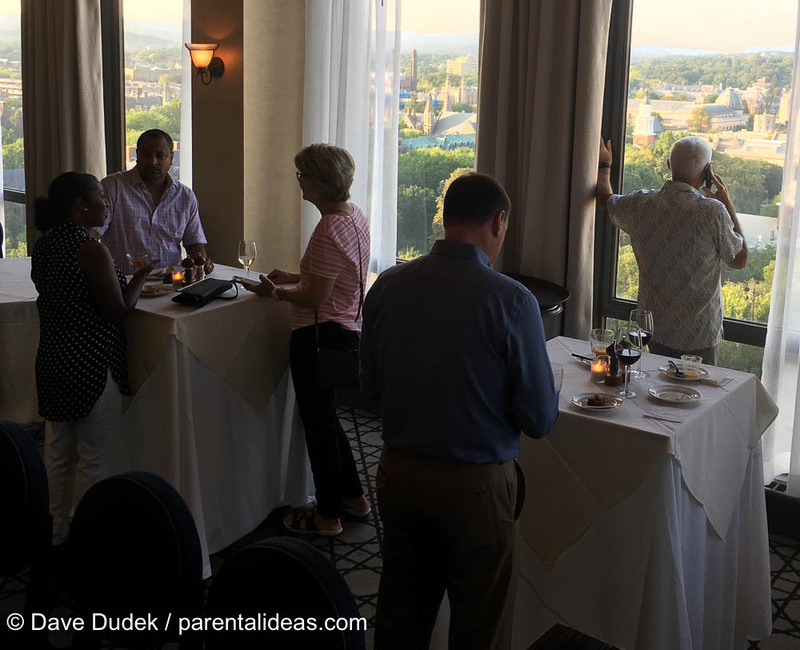 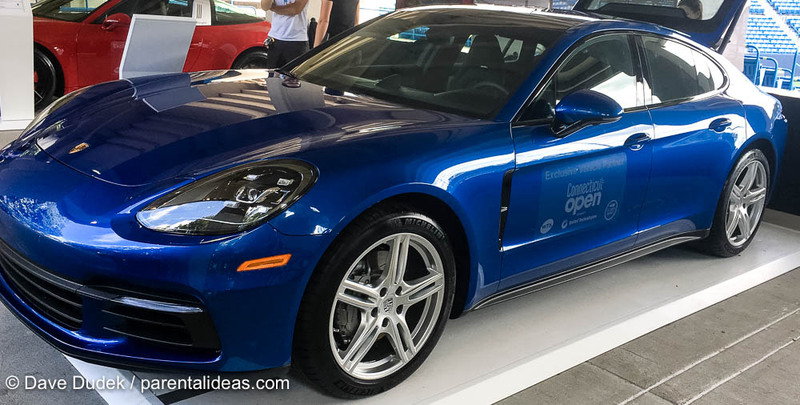 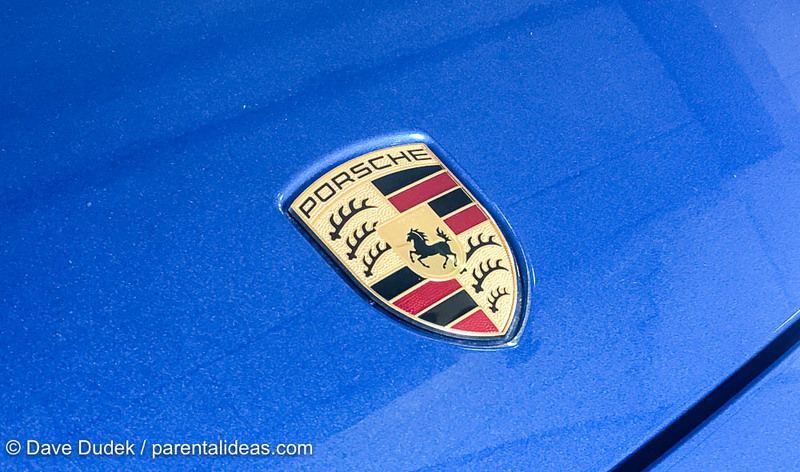 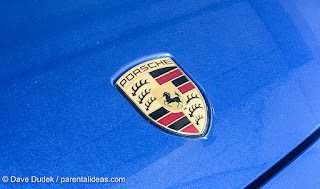 At night, I had the opportunity to attend the Porsche Game, Set, Munch event held at the newly renovated John Davenport’s restaurant on the 19th floor of the Omni New Haven Hotel at Yale. 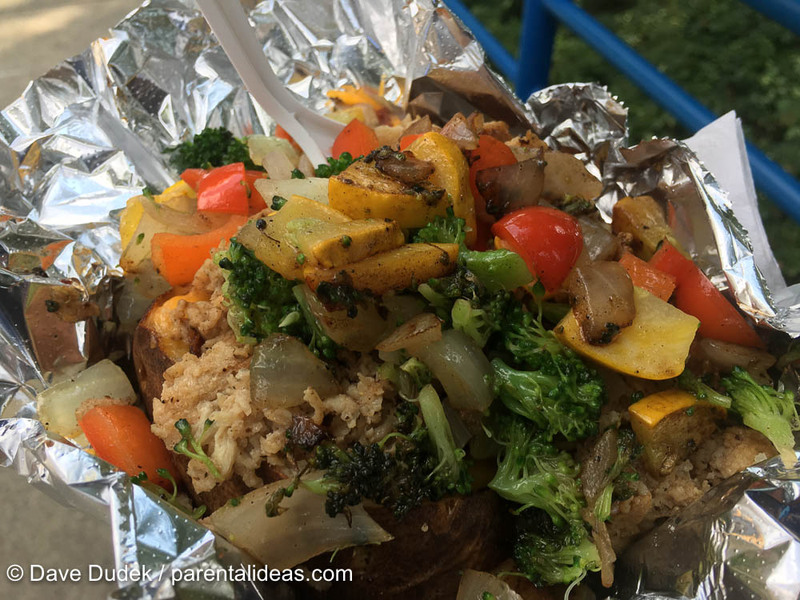 There was food from the restaurants of the Omni Hotel and nearby. 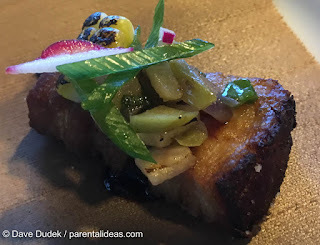 Barcelona Wine Bar had a Potato Tortilla that was delicious. 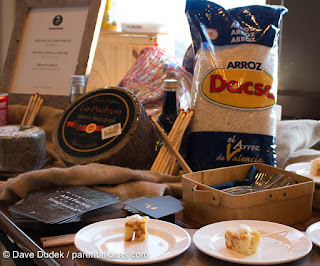 They feature items from all over Spain. 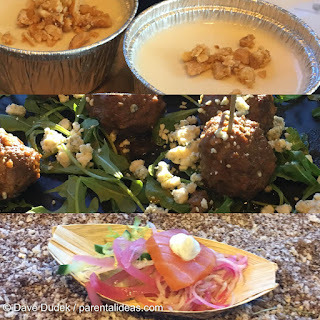 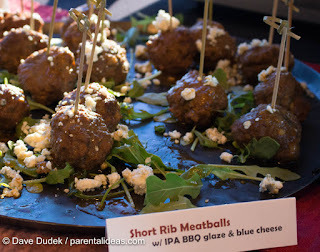 Cask Republic had some delicious Short Rib Meatballs as well as a Yellow Tomato and Corn Gazpacho with garlic and onion popcorn which went down so smoothly, and to finish it off they had a Coconut Panacotta with candied cashews. 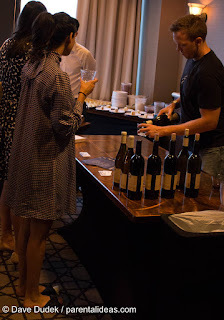 Jonathan Edwards winery from Stonington was sampling some red and white wines. They are a local, family run winery that is the largest in the state. 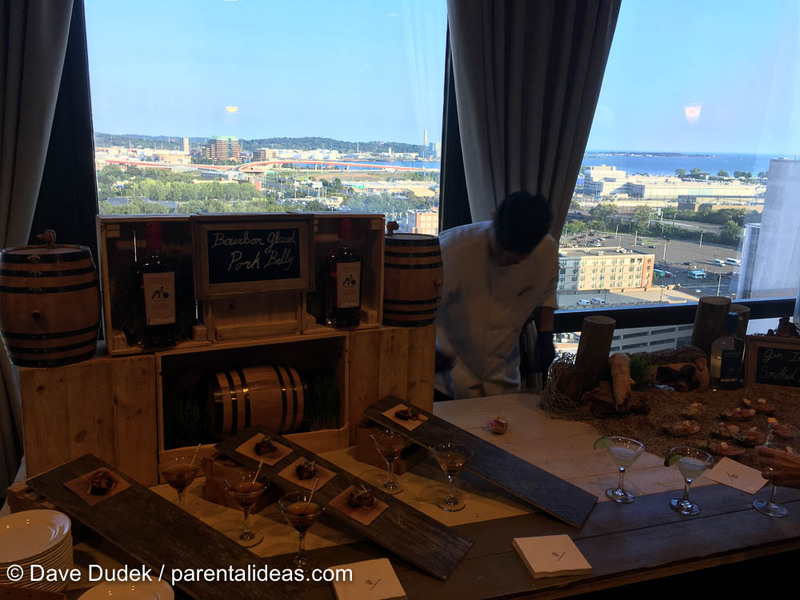 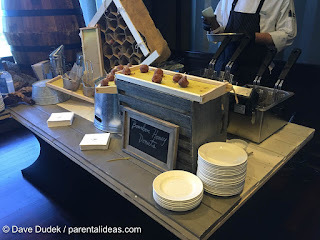 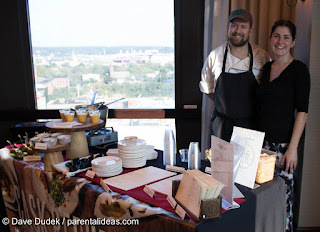 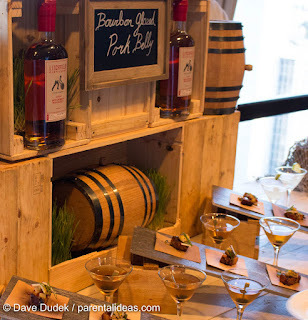 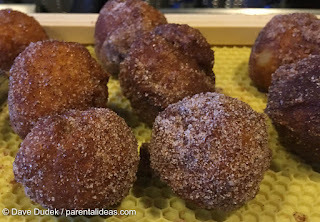 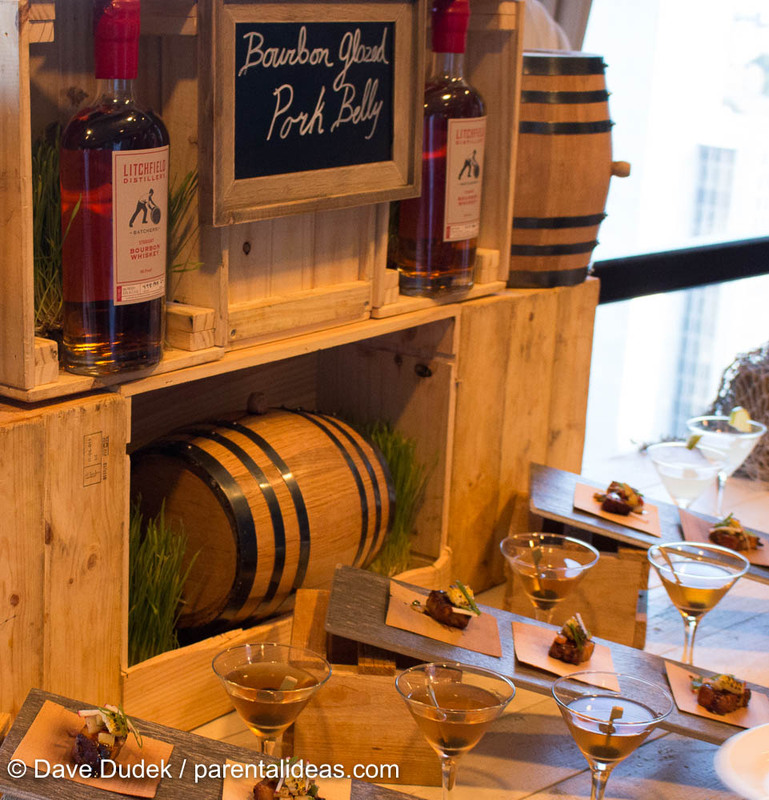 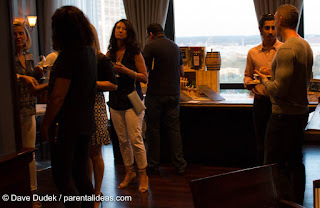 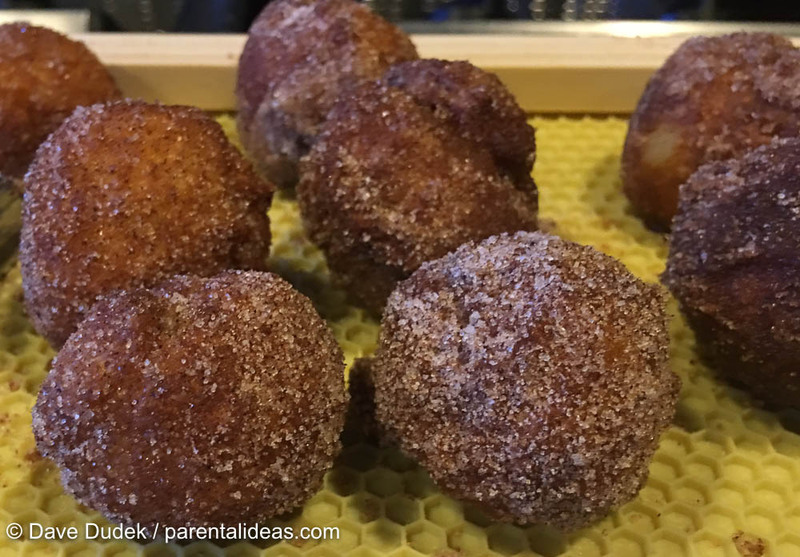 The hotel offered up delicious bites such as gin-infused smoked salmon with picked beets and pickles, bourbon glazed pork belly and bourbon infused honey donuts.